Exclusive Luxe design. Elegant ring etched bottom barrel with polished chrome upper barrel. 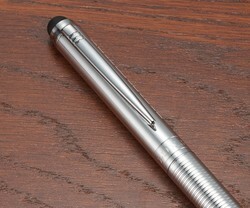 Soft, rubber touch stylus. Subtle Luxe branding etched on center band. 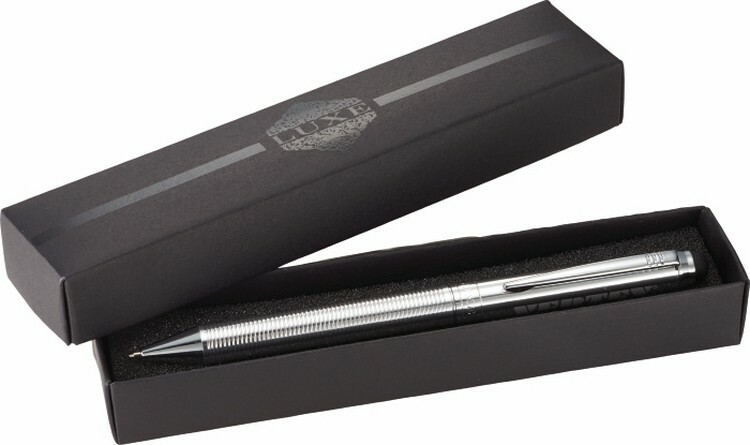 Pen includes premium blue ballpoint ink. Includes Luxe gift packaging.